“Days of Entrepreneurs" in Zemgale 2019” will take place on 26th and 27th of April at the Zemgale Olympic Centre (Kronvalda Street 24, Jelgava). More than 200 participants from entire Zemgale region will present their products and services. Visitors will be able to enjoy interesting cultural program, participate business forum, workshops and degustation. 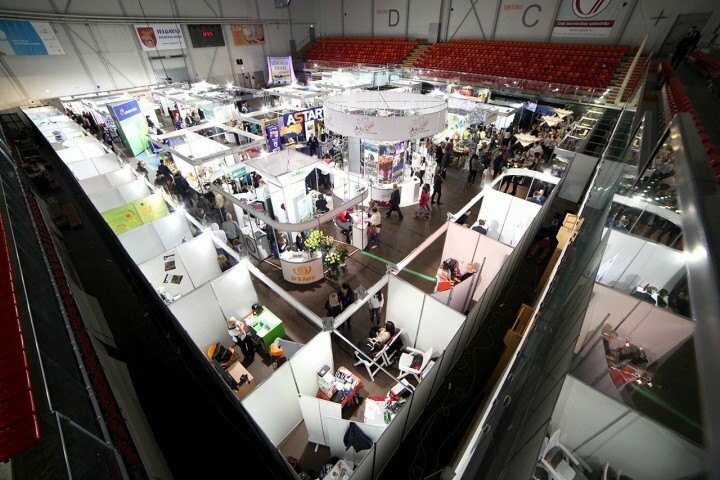 Two-day event will offer opportunity for entrepreneurs, educational establishments and other organisations from all around Latvia, to display their work and accomplishments. Pupils and students will be able to explore the choice of professional careers in the region. The event will include interactive and educational activities - Business Forum about innovations purpose in today’s world, expert presentations and consultations, youth seminars, and a networking event for participants of the exhibition and visitors. On the second day of the event, families are welcome to participate in a specially organized cultural program with a variety of activities, including lotteries and markets of artisans and home producers. For additional information about participation contact Ilze Brice e-mail ilze.brice@chamber.lv or calling +371 29 141 693. The event is organized by Jelgava City Council, Latvian Chamber of Commerce in collaboration with the Association of Jelgava manufacturers and traders.